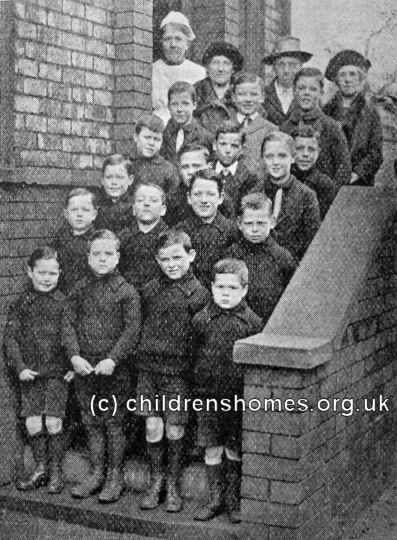 In 1896, the Waifs and Strays Society established the St George's Home for Boys at 53-55 Brick Street, Warrington. The property, sometimes referred to as the Cottage Home, provided accommodation for just 7 boys aged between 6 and 10 years. The opening ceremony and dedication of the home took place on 12th June, 1896, with the Rev. Thurston officiating. 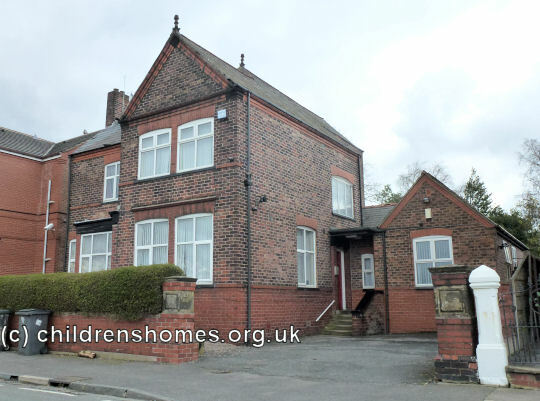 In around 1907, the home moved a very short distance to 50 Hopwood Street, Warrington, where 15 boys could be housed. The 1907 map below shows the location of the premises at Brick Street (blue dot) and Hopwood Street (red dot). Neither of the properties survives. 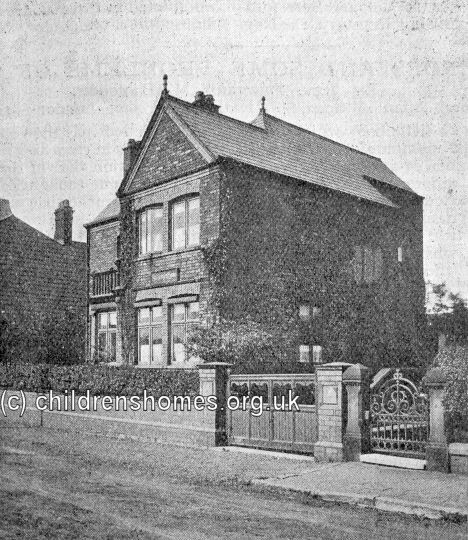 St George's Home for Boys sites, Warrington, c.1907. 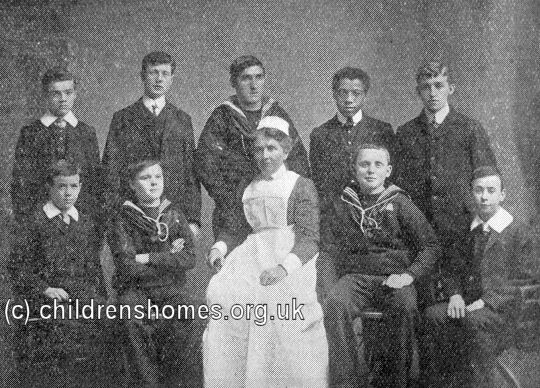 In 1909, the home moved again to a house at 24 Salisbury Street, Warrington, which also accommodated 15 boys. Old Boys from the home often kept in touch with it afterwards and occasionally met up there. In the picture below, a group of former residents pose with the home's 'mother'. The Society's lease on the Salisbury Street home expired in 1924 and the home relocated to new premises in Orford at the north of Warrington. The move was marked by the retirement of Mrs Laura Barrett who had been Matron of the home since its opening in 1896. The Salisbury Street house is now a private residence.